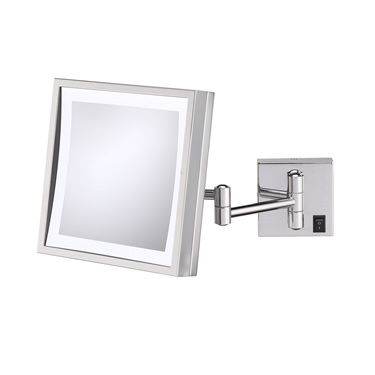 The Single-Sided LED Rectangular Wall Mirror is a great accessory to any bathroom. 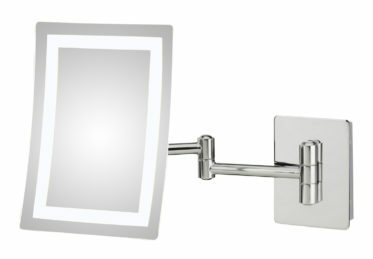 The frameless mirror shows off the visible concave arc of the mirror and adds to its minimalist, contemporary look. 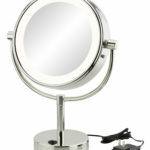 The 3x magnification 6.5″ x 8.75” mirror is supported by a 12.3″ extension. 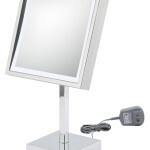 The bright warm or cool LED lights accommodate the most delicate grooming needs. 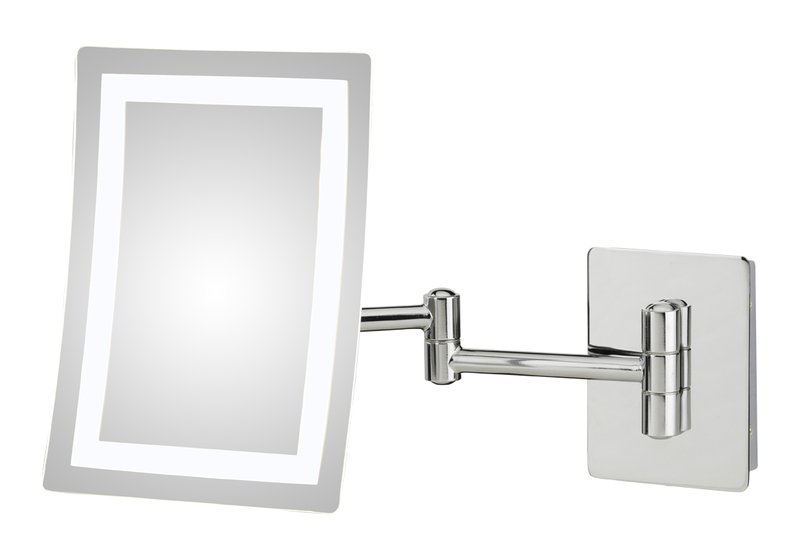 On-off switch is located on back of mirror frame. 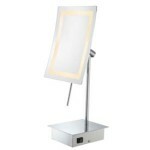 Available in two finishes and two light tones. 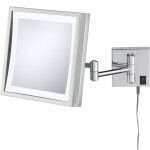 Retracted Width Wall Space: 6.3"
Retracted Height Wall Space: 8.6"
Extended Distance From Wall: 12.3"
Retracted Distance From Wall: 4.25"